Outstanding Cooling From Above | Rittal - The System. 2019-01-29. Rittal has developed a roof-mounted version of its award-winning and highly energy efficient Blue e+ cooling units; these are designed for enclosures of 800 x 600mm (W x D) upwards and deliver a cooling output of 1.3 kW. 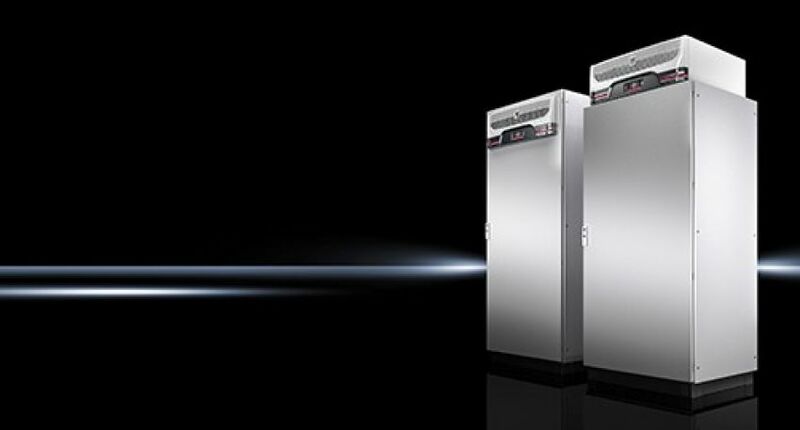 For more information visit www.rittal.co.uk or on twitter @rittal_ltd. To arrange a FREE cooling review, go online, call our customer service team on 01709 704000, or emailcooling@rittal.co.uk .